Finally, the wait is over. Three decades years after the Shining was unleashed upon an unsuspecting public, the sequel is upon us. If you are a King afficienado, a Stanley Kubrick devotee, or a horror fan of any ilk, it’s unlikley you’ll need a recap on what the first book was about so I won’t waste your time. It’s thirty years later and little Danny Torrance is all growd up now. Without giving too much away, lets just say he didn’t turn out so good. His heart’s in the right place (usually) but he’s a raging alcoholic who’s haunted by the past. And let’s face it, who wouldn’t be? On top of all that, he’s still struggling with what they call ‘the Shining,’ a precognitive ability, which by all accounts is a double-edged sword. To say Doctor Sleep received some mixed reviews upon release would be an understatement. Personally, I feel this is a result of people harbouring some very elevated and unrealistic expectations. It wouldn’t be unrealistic to suggest that the Shining is probably one of the best books of the 20th Century. It was always going to be a tough act to follow. Word is that when seeking advice on how to cast Danny as an adult, somebody close to the Master commented that for maximum effect, poor Danny should hit rock bottom. King certainly takes him there, relating the experiences of a hopeless drunk with just a bit too much insight. He certainly knows about the inner-workings of your average AA group. 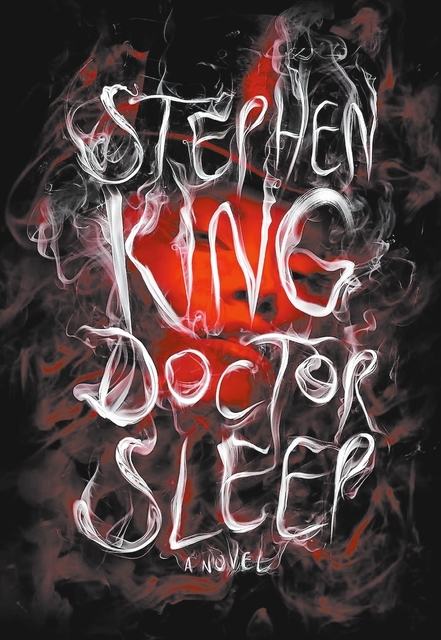 After hitting ‘rock bottom’ grown-up Danny decides to kick the booze and takes a job in a hospice where, aided by a cat, he uses his Shining to help the residents find peace in the moments before death claims them, earning himself the nickname Doctor Sleep. Ultimately, the story is one of redemption, applied work ethic, and a sense of duty, all playing out in front of a Good v Evil scenario which is quite possibly all-too familiar to King’s army of Constant Readers. The ‘evil’ in question is a band of modern-day SUV-bothering gypsies called the ‘True Knot’ who murder gifted children to devour their Shining. The only real criticism I have of Doctor Sleep is perhaps that it is a little over-written. After a storming start, the middle sections sag a little and the ‘climax’ is drawn out to about 20% of the total word count. The whole thing could perhaps have benefited from a little tightening up. Depending on your stance, this is either King’s tour de force, or an unnecessary addition to a book shelf already bowing under the weight of tomes before. It’s real position is probably somewhere in the middle. It will keep his devoted following ticking over, but is unlikely to win many new fans. This entry was posted on Saturday, April 11th, 2015 at 8:59 pm	and tagged with book, Doctor Sleep, fiction, review, Stephen King and posted in Books, fiction, horror, Life. You can follow any responses to this entry through the RSS 2.0 feed. « I want to eat your brains! Loved this book so much. Thanks for sharing! If you’re ever interested in some other great book reviews and musings, be sure to follow! Thanks! Reblogged this on be an open book..,. Nice review. I tought it was a great book, not too into the “horror” but more like syfy or something, Danny and Abra were great characters. The only thing I can “critizise” is that the bad guys weren’t that creepy at all. And I even though it a “sequel” of The Shining, it doesn’t feel like it, it can be a perfectly separate book so it doesn’t mess with the first book legacy. I completely agree that Dr Sleep didn’t need to be a sequel to the Shining. The links felt a bit forced sometimes. The only thing that really connected the two books is the Danny Torrance character. He could quite easily have been a different character entirely it wouldn’t have affected the plot.Thanks for the comment, Jehr!